Bonnie Jean Nelson, 60, of Radcliff, KY passed away Thursday, January 17, 2019 at her residence. 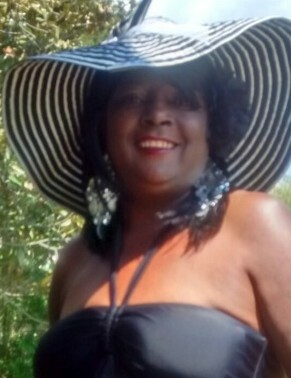 Her husband, Roosevelt Campbell; seven daughters, Joydena Nelson, Machelle Nelson, Rachelle Nelson, Debra Cooper, Diana Dotson, Denielle Nelson, Kimberly Lynn; her mother, Helen Nelson; thirty two grandchildren; twelve great grandchildren; nine siblings, Tina, Martha, James, Ioma, Annie, Linda, Larry, Jeff, Michael, Nicholas; and a host of family & friends. Visitation will be from 11:00 AM until 1:00 PM Saturday at Chism Family Funeral Home, Vine Grove, KY.
Funeral services for will be held at 1:00 PM, Saturday, January 26, 2019 at the chapel of Chism Family Funeral Home, Vine Grove, KY. Burial will follow in the Elizabethtown City Cemetery.